﻿Want To Feel Like A Roc﻿k Star for a Concert In A Limo That Will Turns Heads Around? The axis of arts and cultural is in the heart of Quebec! Be a part of the frenzy of music and watch your favorite implementation of world famous artists exclusively performing for you in your preferred locations. Book a limo service with us to enjoy your favorite concert in style. We want to ensure you reach the place on time so that you can enjoy music and live performances. Join in the fun, come, and go in style with our finest limousine Montreal services. Be the star of your most beautiful dream. Chauffeur Experience. We provide a limousine with a professional driver in uniform for concerts and parties. Our drivers are known for their service, knowledge and elegance, we are the best at what we do and we take pride in this. Something to remember. Why not enhance a special evening with a fancy limo rental. The ideal car for an evening such as parties and concerts make the night special and unforgettable. Select from the many models we have of limousines and match it to your style. Hassle Free. Rent a limo in order to welcome important people, transport to and from airports hassle free, and avoid all parking and traffic issues. After all, you are going to relax and have fun... so just sit back and enjoy. Celebrate your golden moments in the limo, as there is no better occasion to rent a limousine for a concert. Give a special gift to you and your friends or live an unforgettable experience. 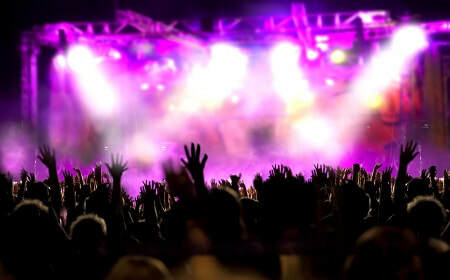 Spend some time on board a limo, before you enjoy a lively concert of your favorite stars. Hiring a limo means giving life to a wave of wonderful emotions, moving within one of the most beautiful city in the world. By choosing to rent a limousine for a concert you will have the chance to climb aboard a wonderful car, equipped with every comfort . On board you will have the opportunity to choose your favorite music, toast and observe the scene outside enchanted feeling like a real star. Thanks to the tour in a limousine, you will also be able to dwell in the beautiful areas to take photographs and admire the places including the most famous squares. Hiring a limousine for a concert will not just be a simple event, in fact it will provide you with an experience of a heart pounding evening that you may choose to conclude with a fine dinner in one of the many restaurants in town. Treat yourself with a limo and create some unforgettable memories.